My friend Darren swears he never recommended to me any of David James Duncan books, but if he didn’t I must of hallucinated it years ago. We were in their basement in early 2000’s. He said “You really should read The River Why, Tim, it’s a really thoughtful book.” He showed me the book. I touched it, held it in my hands and saw the fish hook/question mark cover. I didn’t read it till about six months ago. Darren told me on a sunny hike we were traipsing on a week ago he didn’t recommend it, nor did he ever read it. Maybe God had this whole narrative show up in a dream or something. Regardless it was a good book, and someone or something recommended it to me. Holler if it was you. But that’s not what I wanted to tell you. 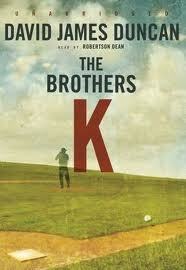 I went on to read David James Duncan’s novel, The Brothers K, and finished it a couple of weeks ago. Out of the park! Let me tell you, what a good read. Being illiterate in the world of baseball, there was some trudging I had to do through the land pitches and diamonds, but it didn’t take long to fall in love with this rag-tag motley crew of a family, which overshadowed any of my lack of American sport wisdom. I want to say it’s in some ways it’s your typical Vietnam era family read, but Duncan’s choice to mimic some of the structure of Brothers Karamotzov is delightful, and doesn’t require a read of that book to thoroughly enjoy this one. 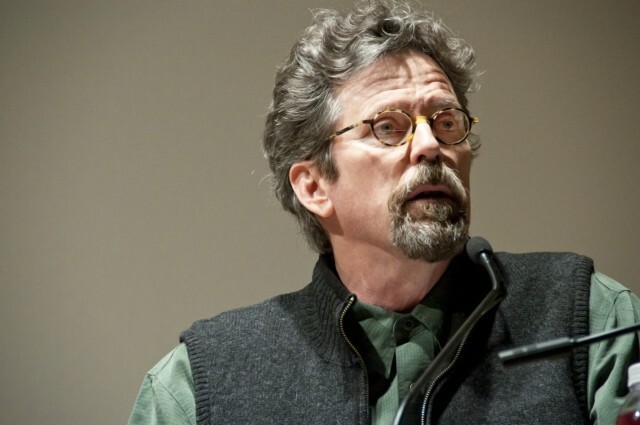 There are characters like the atheist older brother, the faithfully devout one and the like, all negotiating their lives within laugh out loud paragraphs, and tear-jerking moments. Pick it up, and meet a complicated family that might give you an insight or two, well maybe even four; one for each brother. Happy New Year…. This entry was posted in A good read and tagged Brothers K, David James Duncan, novels about brothers. Bookmark the permalink.